No matter where you are travelling from, the roads are a pleasure to drive. Buckle up and travel safely, and please keep an eye out for wildlife crossing the road. However, some roads are only suitable for 4 x 4 vehicles. 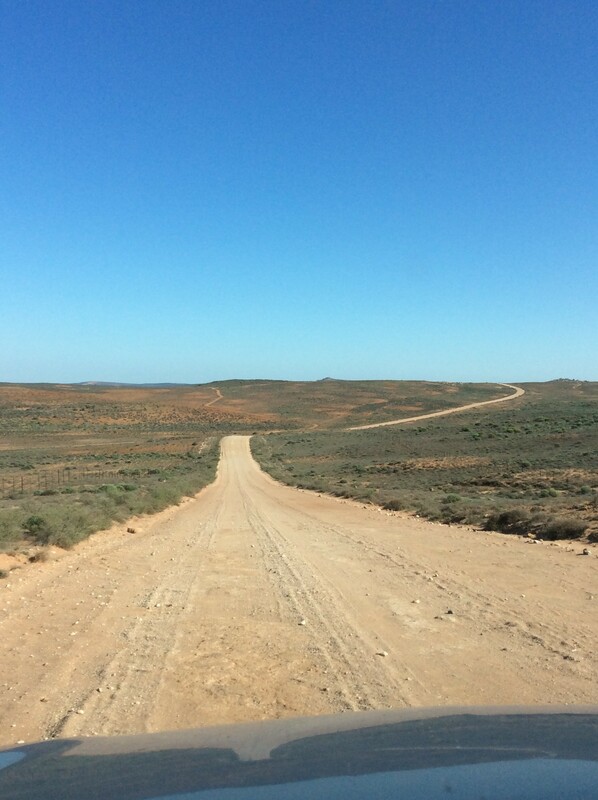 Don’t exceed 100 km per hour on the gravel roads coming into Hondeklip Bay, for your own safety and the safety of everyone on the road. The road quality differs depending on the time of year and the frequency of road maintenance (scraping), but take your time and enjoy the scenery! Please note that the Wildeperdehoek Pass is now only suitable for 4 x 4 vehicles. If you are visiting during the flower season, don’t forget to stop the car, get out and smell the flowers. And if you want to take something home as a souvenir, please take a picture, not a flower. Enjoy your visit! The road between Garies and Hondeklipbaai.